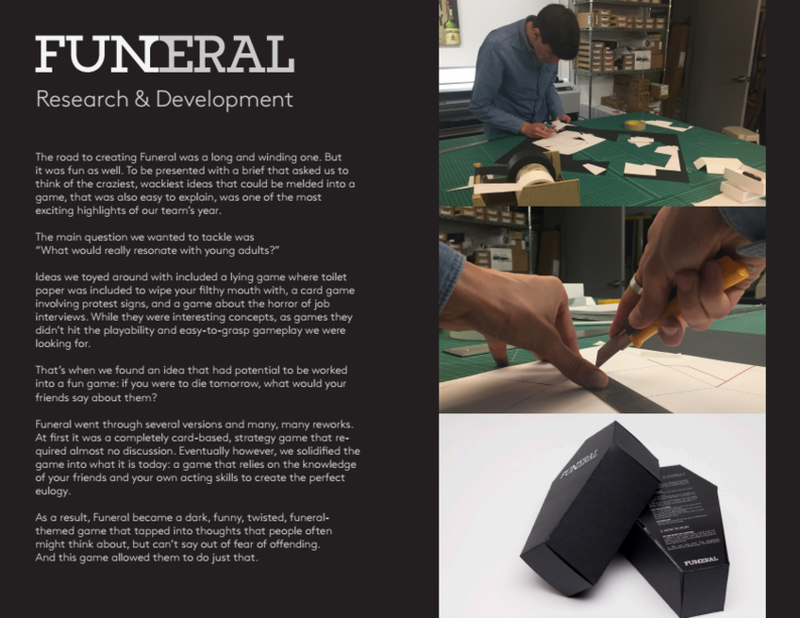 Ever wanted to go to your own funeral and hear the speeches that would be held in your honour? Now you get to experience just that? but be ready for things you might not want to hear! Players give eulogies for each other, trying to grab the most from the will. Each round a new player is declared dead, and the living players must try to give the most touching or chocking eulogy. But they did not count on the dead rising from the grave, with challenges which the living players must perform to prove themselves worthy to win.